Jacob Abbott, Rollo at Work, or, The Way for a Boy To Learn To Be Industrious. Boston: T. H. Carter, 1838. Archimedes, Archimēdous tou Syrakousiou ... , 1544. Archimedes, Archimēdous tou Syrakousiou, Ta mechri nun sōzomena, ha-panta = Archimedis Syracusani philosophi ac geometrae excellentissimi Opera, quae quidem extant, omnia, multis iam seculis desiderata, atque a quam paucissimis hactenus visa, nuncque primum & Graece & Latine in lucem edita. Basel: Ioannes Hervagius, 1544. 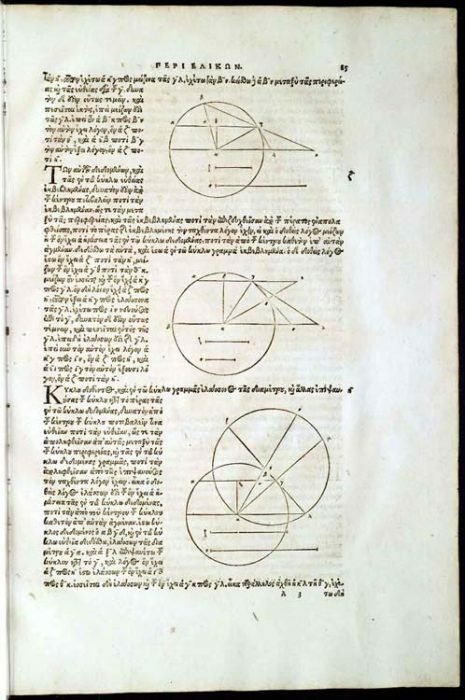 The first printing of Archimedes' works in the original Greek, with a Latin translation. While some of Archimedes' mathematical treatises had been transmitted through both Greek and Arabic manuscripts during the early Middle Ages, his works were largely ignored in early modern Europe until the appearance of this edition, which conveyed in full the rediscovered mathematical principles and theorems that would inform the works of Galileo, Descartes, Fermat, and Newton. Audsley and Bowles, Keramic [i.e. 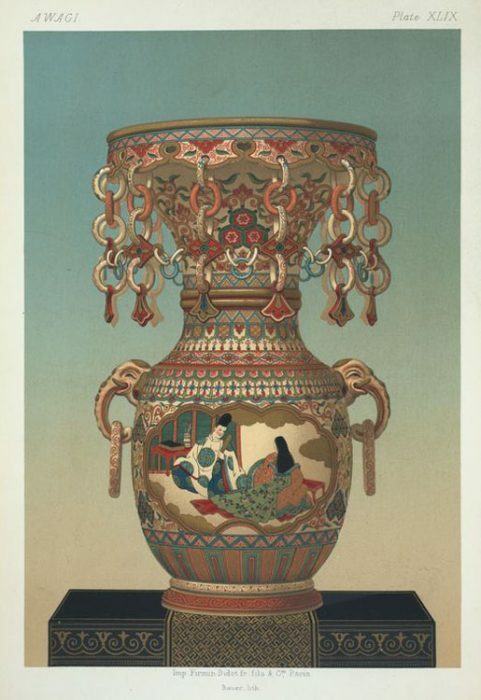 Ceramic] Art of Japan, 1875. George Ashdown Audsley and James Lord Bowles, Keramic [i.e. Ceramic] Art of Japan. 2 vols. Liverpool: For the subscribers by the authors, 1875 [distributed: London: Henry Sotheran & Co.]. One of the finest examples of chromolithography ever produced. The mid-nineteenth century ushered in a period when, with Japan newly opened to the West, European and American interest in things Japanese was intense, and Japanese influences in the decorative arts and design were extremely strong. In response to this interest, Audsley and Bowles, both members of the Asiatic Society of Japan, published this book, employing the highest standards and techniques for chromolithography. It was their feeling that only finely detailed illustrations in color could convey adequately the artistry of these Japanese objects. Before the advent of color photography, chromolithography provided for the most realistic rendering of an image. The technique was developed in the 1830s (previously, engravings were hand colored to produce color images) and was generally superceded by offset printing a century later. Lithography employs a printing technique in which an image is drawn on a highly polished stone and transferred onto paper using a printing press. In chromolithography, multiple stones, each with its own color value, are used, and the same sheet is printed on each stone in succession to produce a combined full-color image. The Firmin-Didot et Cie. produced the illustrations for Keramic using photographs as guides in preparing the lithographic drawings. 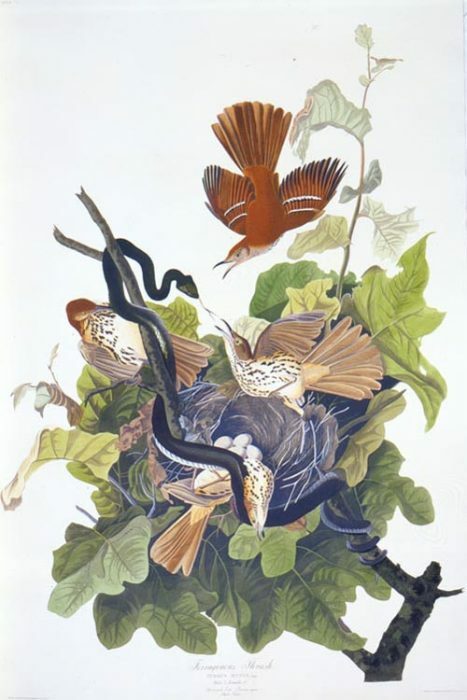 John James Audubon, The Birds of America, 1827-1838. Bowdoin College's copy of The Birds of America 'double-elephant folio' edition (4 vols.) is on display on the 3rd floor of Special Collections. Less than 200 copies of Audubon's monumental 'double-elephant folio' edition (London: R. Havell; 4 vols.) were printed, and about 120 complete sets survive. The work was issued in installments to subscribers (87 parts of five prints each) between 1827 and 1838. The images were reproduced from Audubon's paintings by copper etching, aquatint and engraving-the subsequent prints were then hand colored in watercolor. The illustrated plates were published without any text to avoid furnishing the free copies of 'books' to public libraries in England as copyright law required. 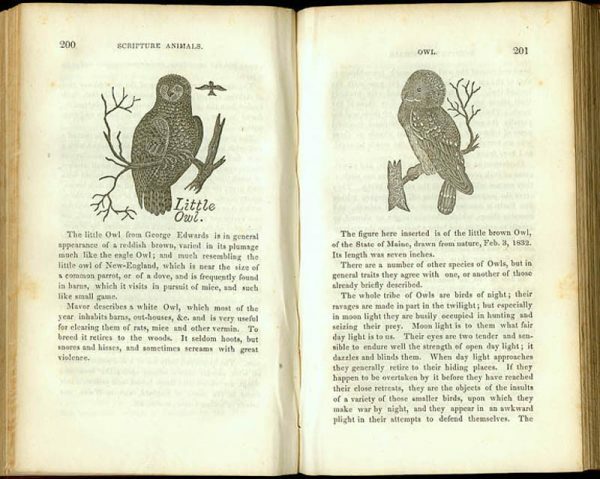 Five smaller companion volumes (Edinburgh, 1831-1839), containing textual information about the depicted birds, were consequently published separately and further reprinted in the United States (including the volume shown here). 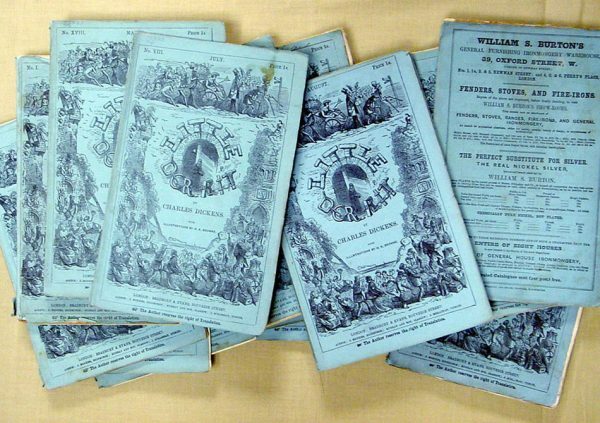 Subsequently, a 'Royal Octavo' edition appeared, integrating simplified chromolithograph renderings of the paintings with the text (New York and Philadelphia, 1840-1844; 7 vols.). 'Double-elephant' refers to a specific paper sheet size that was required to accommodate the large engraved plates. Leonard Baskin, A Book of Demons: etchings. Northampton, Mass. : Gehenna Press, 2001. Special Edition limited to twenty-six copies. Mostly copperplate etchings printed in color (by Michael Kuch). Baskin launched the Gehenna Press while he was a student at Yale in 1942. 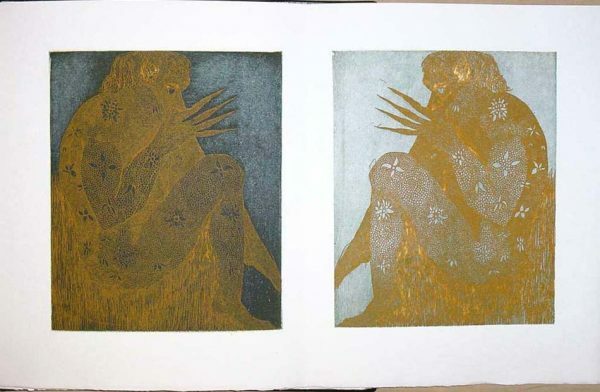 Known for its fine presswork, the melding of obscure texts with distinctive design and illustration, and collaborations between Baskin and contemporary writers like Ted Hughes, Gehenna Press publications evolved from examples of fine printing and exquisite design into artistic presentations in book form. A Book of Demons was published posthumously in the year following Baskin's death. 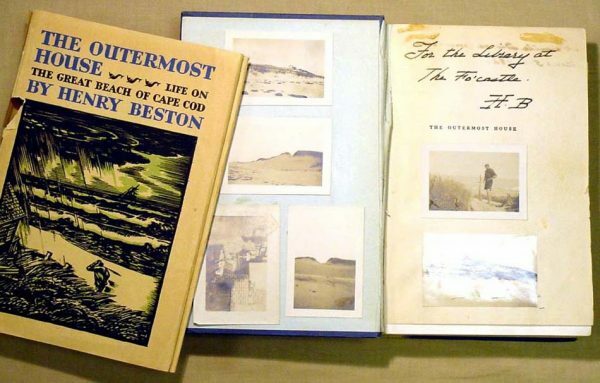 Henry Beston, The Outermost House: life on the great beach of Cape Cod. Garden City, N.Y.: Doubleday, Doran and Co., 1928. 1st edition; extra-illustrated by the author. This Cape Cod classic established Beston's reputation as a naturalist and as a writer, and he is among the forebears of the modern environmentalist movement. His writing influenced environmental public policy and inspired others who took up the naturalist cause, most notably Rachel Carson. The copy displayed here was the author's, which he used as a scrapbook for 'The Focastle' (i.e. the 'outermost house'), pasting in photographs and canceled checks ($292.00) that documented his purchase of the property. Beston received an honorary degree from Bowdoin College in 1953. Gift: Mrs. Henry Beston [Elizabeth Jane Coatsworth]. 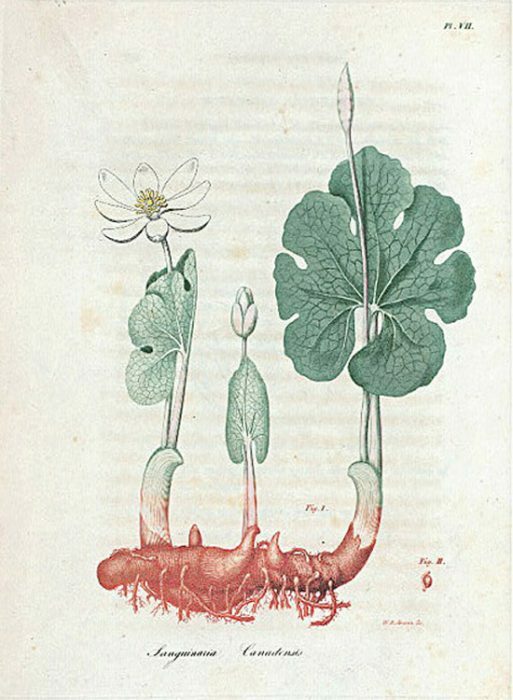 Jacob Bigelow, American Medical Botany, Being a Collection of the Native Medicinal Plants of the United States ... . 3 vols. Boston: Cummings and Hilliard, 1817-1820. Medici Book of Hours (ms. Marie de Medicis). Illuminated Italian ms. on vellum, ca. 1530. Devotional book belonging to Marie de Medicis, in miniscule script with eighteen large and ten small miniatures, many with elaborate borders in Arabesque and naturalistic motifs. Books of Hours, centered on adoration of the Blessed Virgin Mary, were especially popular from the mid-thirteenth through the early-sixteenth century. 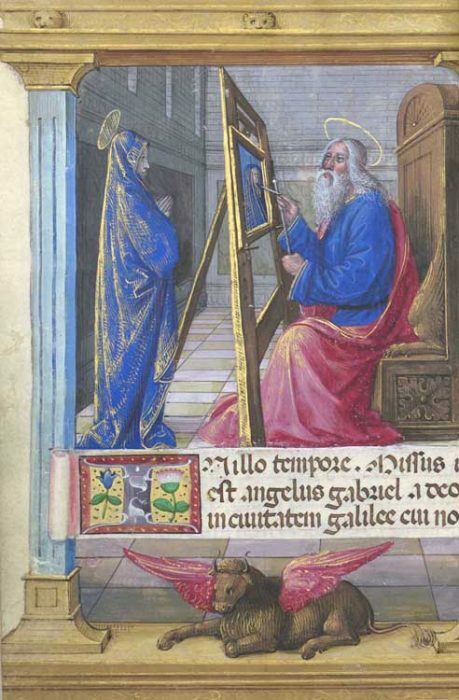 During that period, more Books of Hours than Bibles were produced in Western Europe. Gift: Roscoe H. Hupper (Class of 1907) in memory of Felix Arnold Burton (Class of 1907). Thomas Shotter Boys, Original Views of London as It Is. London: T. Boys, 1842. Drawn and lithographed by Boys, with text in English and French by Charles Ollier. Boys, a celebrated watercolorist and lithographer, prepared these hand colored lithographs to look as much like original watercolor drawings as was possible with the printing technology available at the time. 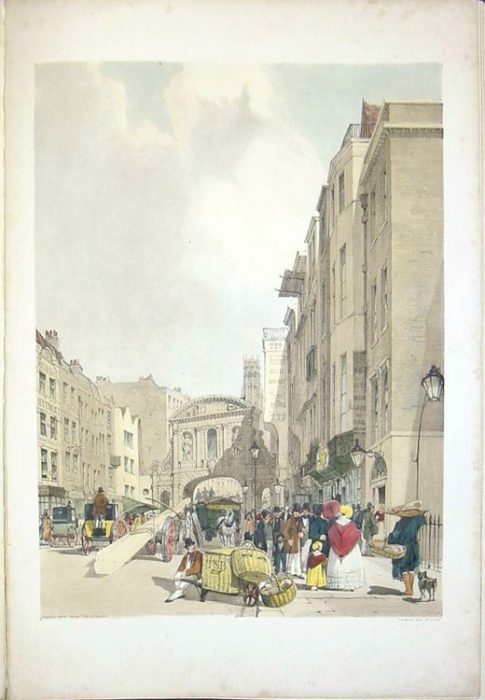 London as It Is, and his earlier Picturesque Views in Paris ...(1839), were extremely well regarded for both their artistry and the accuracy of their depictions. As a consequence, Boys' work was influential both artistically, by contributing to the acceptance of the commercial 'artist's print' in the art world, and historically, in documenting nineteenth-century city life in London, a facet of urban history for which few documentary sources survive. Boys's reputation for accuracy notwithstanding, he regularly inserted images of himself or references to his name within his topographic renderings [in the view shown here, note his initials on the foreground basket]. Joshua Chamberlain, The Passing of the Armies: an account of the final campaign of the Army of the Potomac, based upon personal reminiscences of the Fifth Army Corps, New York and London: G. P. Putnam's Sons, 1915. Chamberlain's autobiographical account was published a year after his death under the editorial supervision of his children. Scholars credit his description of Lee's surrender at Appomattox Court House in particular (Grant had designated Chamberlain to command the parade) as being among the more vivid and readable accounts of that event published. Although Chamberlain held no graduate degrees, his academic accomplishments in teaching (oratory and rhetoric; modern languages; philosophy) and educational reform matched his successes on the battlefield. 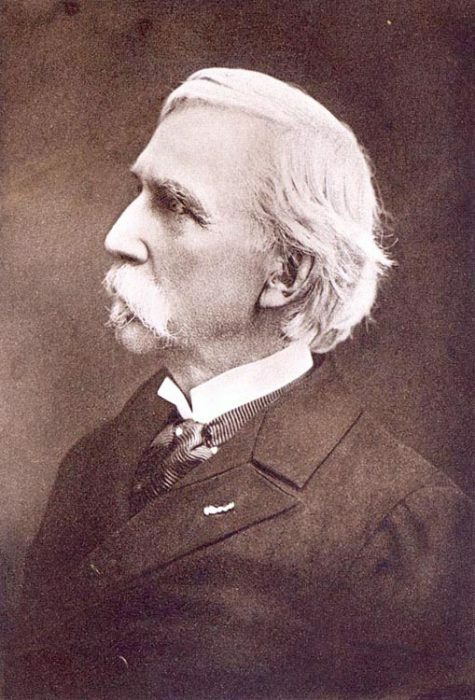 He served on Bowdoin's faculty prior to enlistment and as the president of Bowdoin College between 1871 and 1883. The copy shown here was owned by Dr. Abner Shaw, the regimental surgeon who is credited with saving Chamberlain's life following wounds received at Petersburg. Lydia Child, An Appeal in Favor of that Class of Americans Called Africans, Boston: Allen and Ticknor, 1833. 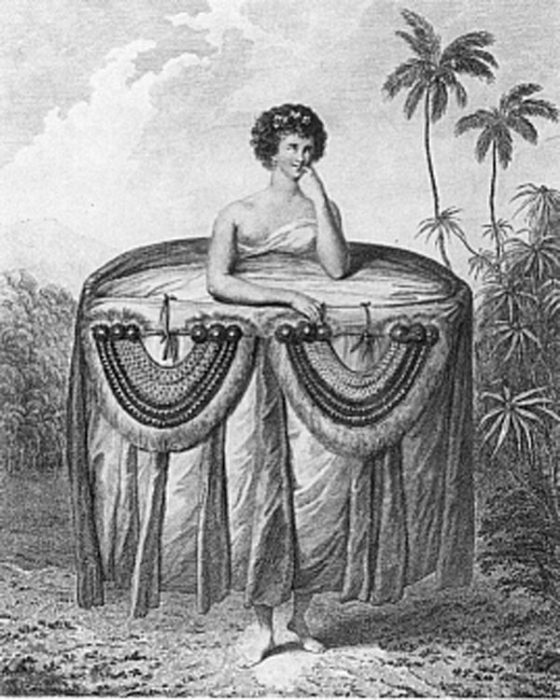 Initially a children's author and writer of books for women (including her enormously popular The Frugal Housewife in 1829), Child wrote this, the first exhaustive, systematic analysis of modern slavery, as an antislavery polemic following several years of thought and study on that 'peculiar institution.' Her vision of abolition included immediate emancipation and full social integration, including interracial education and marriage, and the book was consequently both influential and inflammatory. While persuading some to her point of view and serving as an historical basis on which other abolitionist writers would build their own arguments, the book caused many, especially in her home town of Boston, to reject both her radical views and her broader literary offerings. Thomas Chippendale, The Gentleman and Cabinet-Maker's Director ... . London: Printed for the author ... also by T. Osborne, 1754. This work, essentially a trade catalogue, represents the most important collection of furniture designs published in eighteenth-century England, and it was popular both there and in Colonial America. Although architects in the early modern period had published such specimen books, Chippendale was the first to issue a comparable catalogue devoted entirely to furniture and furnishings. He published three editions during his lifetime (1754, 1755 and 1762), and its publication likely has contributed considerably to his subsequent renown. 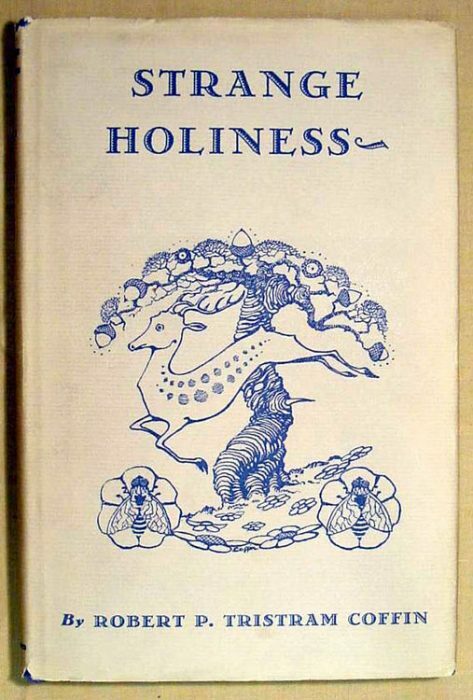 Robert P. Tristram Coffin, Strange Holiness, New York: Macmillan, 1935. As a poet, novelist, essayist, and illustrator, Coffin (Class of 1915) published nearly forty books during a career that also engaged him in teaching-first at Wells College and, for twenty-one years, at his alma mater. He was also founder of the Towle Writer's Conference at the University of New Hampshire, and he enjoyed a national reputation for lecturing that matched his literary accomplishments. The importance of place, especially the rural and coastal aspects of his native Maine, permeates his writing. This collection of poems about country folk and country things won Coffin the Pulitzer Prize for poetry in 1936. Gift: Estate of Kenneth C. M. Sills. 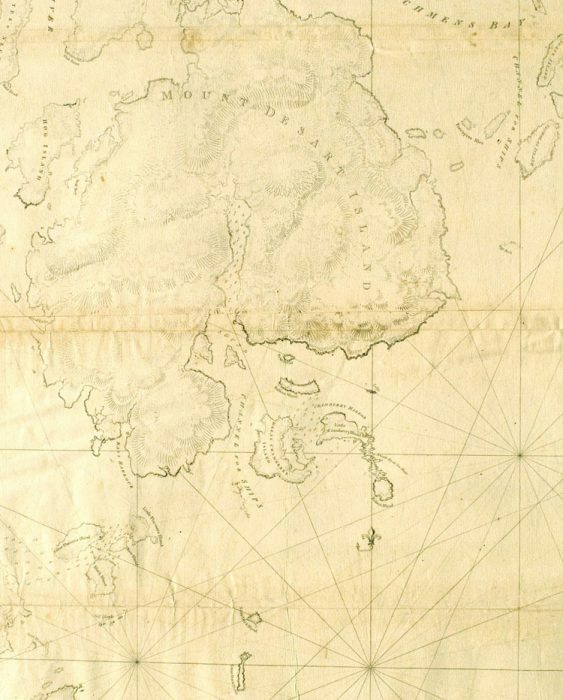 Captain James Cook, A Voyage to the Pacific Ocean: undertaken, by the command of His Majesty, for making discoveries in the northern hemisphere, to determine the position and extent of the west side of North America, its distance from Asia, and the practicability of a northern passage to Europe. 3 vols. and atlas. London: Printed by W. and A. Strahan, for G. Nicol, & T. Cadell, 1784. Captain Cook's 'Third Voyage' [1st ed.]. Preceded by earlier accounts of the voyage (Rickman, 1781; Ledyard, 1783), this work draws fully from Cook's own journal for his third and final Pacific expedition (1776-1779), which intended to search for a northwest or northeast passage from the North Pacific. Ice repeatedly blocked Cook's attempts to press north of the Bering Strait, but the expedition gathered important cartographic, ethnographic and biological data about the northwest coast of North America (especially Alaska), Siberia, and the Hawaiian Islands, where Cook met his death. The book is especially important for its illustrations, based on original drawings made by expedition artists John Webber and William Ellis. Curtis's monumental work documenting the Indians of western North America was published in a limited edition and sold by subscription. 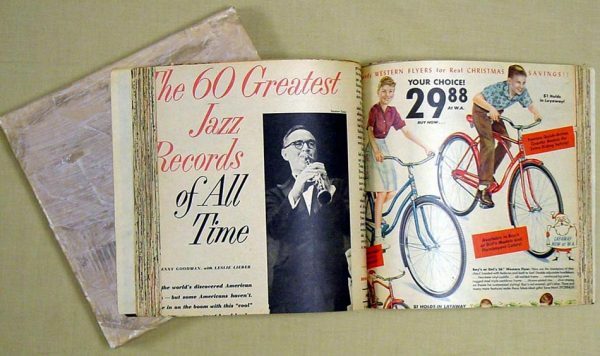 Despite J. P. Morgan's underwriting the project, the cost of these lavishly produced volumes and portfolios proved prohibitively expensive, and only about 230 of the planned 500 copies were issued. Each set includes 2,226 separate images, all printed in exquisite photogravure. Curtis, a Seattle portrait photographer, developed his concept of documenting and photographing the major western Native American tribes during a time when their culture was rapidly changing. 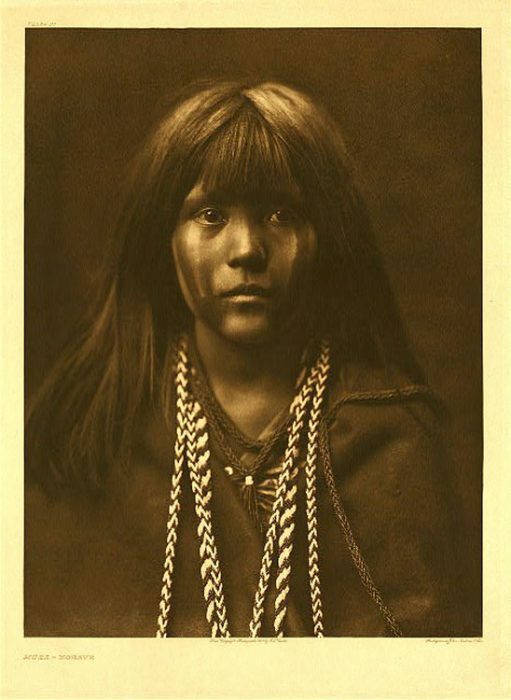 Many of his photographs were staged and highly idealized, and although he viewed himself as an ethnographer and assembled a team of field agents to interview and record observations of Indian life, Curtis's work has found its greatest audience through the appreciation of his photographic artistry. Dante Alighieri, [Divina commedia]. Dante's Inferno; ... Purgatorio; ... Paradiso. 3 vols. Illustrated by Sandow Birk; translated by Sandow Birk and Marcus Sanders. 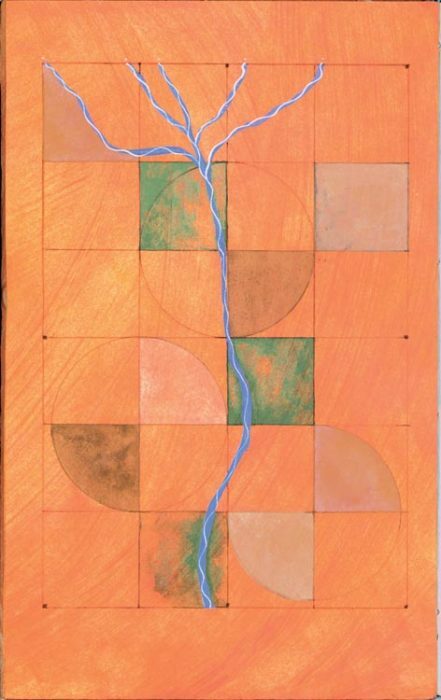 Brisbane, Calif.: Trillium Press, 2003-2005. 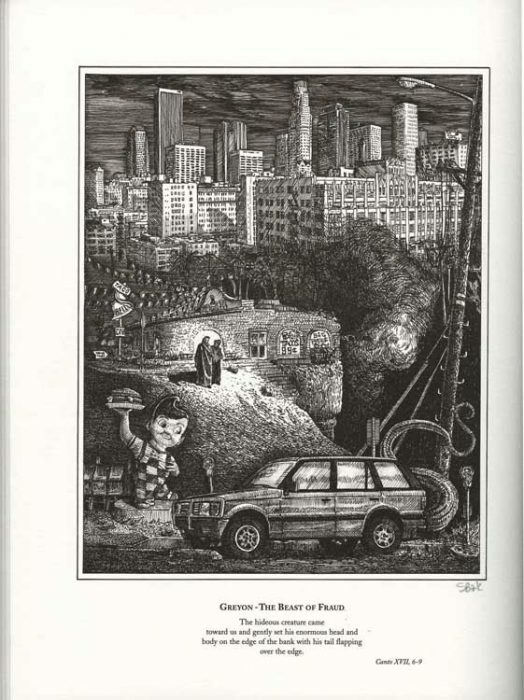 Edition limited to 100 copies; original lithographs. This version of Dante's epic work follows on a long tradition of vernacular writing, free translation and gripping illustration. Birk's contemporary reconstruction builds on Gustave Doré's seminal nineteenth-century visual interpretation of the Divine Comedy and repositions Dante's journey through the afterlife into the modern-day street cultures of Los Angeles, San Francisco and New York. The image shown here is from Inferno (2003). Joseph F.W. Des Barres, Mount Desart Island The Atlantic Neptune: published for the use of the Royal Navy of Great Britain. Vol. 2. London: [s.n. ], 1777. 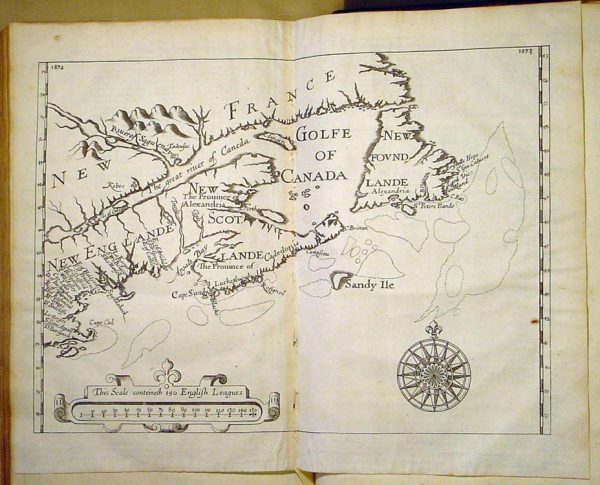 The first monumental marine atlas containing both nautical charts and views of the North American east coast (from Nova Scotia to the mouth of the Mississippi River). Published in England and issued variously with revised maps between 1774 and 1784, the charts are of such quality and detail that they were the official source for the British navy during the Revolutionary War and remained in use as the standard nautical charts of the East Coast for over fifty years. The entire work includes over 250 plates of engravings, some having gone through as many as ten variant printings. Both small and large editions were published. Because the maps were continually revised and reissued, and because individual charts were available for purchase separately, practically every extant copy is different. Bowdoin College holds many of the charts from volume 2 (1777) of the large paper edition, unbound. Charles Dickens, Little Dorrit. 20 nos. in 19 pts. London: Bradbury & Evans, 1855-1857. As was the case with most Victorian novels, Dickens first published his works in parts, serially, either weekly or monthly. These issues were cheaply produced, carried numerous publisher's advertisements, and sold for one shilling or so (the cost then of a pack of throat lozenges) in book shops, railway bookstalls, and other venues easily accessible to the burgeoning reading public. Once all of the issues were acquired, the reader might have the whole work bound together for his or her own library. Subsequently, the publisher also issued these novels as complete works, often in multiple volumes as 'three deckers' or 'triple deckers.' Although most writers of the period completed their works before submitting them for serialization, Dickens wrote throughout the publication process, and critics have consequently argued that his writing reflects the audience reactions that developed during the authorial process. 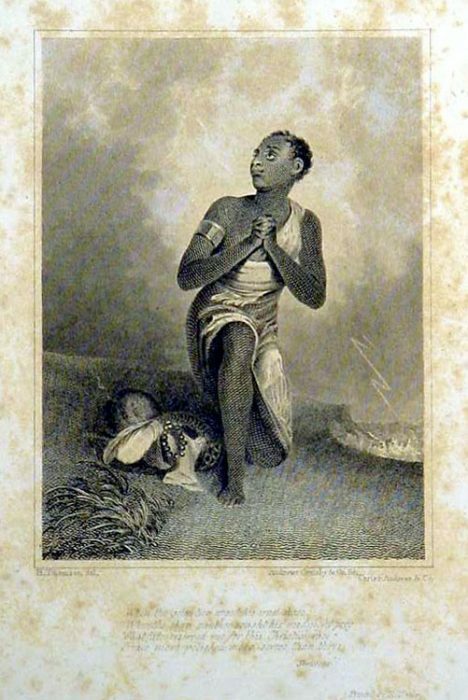 John Eliot, Mamusse wunnutupanatamwe up-Biblum God naneeswe nukkone testament kah wonk wusku testament = The Holy Bible: containing the Old Testament and the New, translated into the Indian language ... at the charge, and with the consent of the Corporation in England for the Propagation of the Gospel amongst the Indians in New-England. Cambridge [Mass. ]: Printed by Samuel Green and Marmaduke Johnson, -1663. 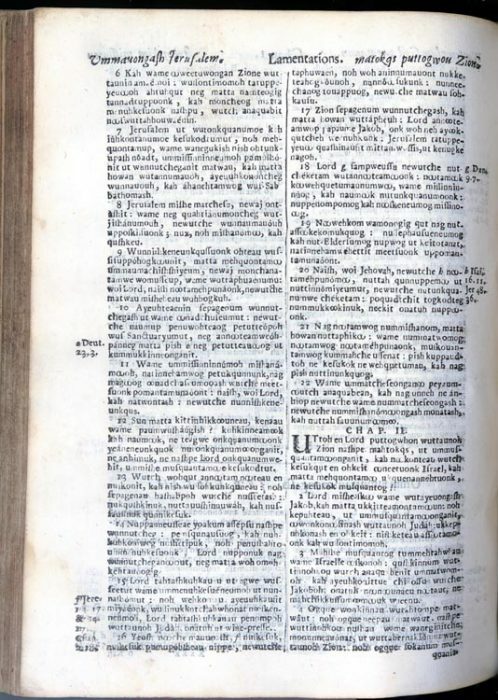 Aside from its importance in American printing history, this book also marks the first instance of translating the entire Bible in a new language for the expressed purpose of evangelism. Eliot, a missionary to the Massachuset Indians, learned their language, codified it and published both a primer and a grammar for the use of Massachuset children. Subsequently, he prepared this monumental translation of the Bible into Massachuset (one of the many Algonquin languages), a ten-year labor. 1,000 copies of the complete Bible were produced, and a second edition numbering 2,000 copies was published in 1685. 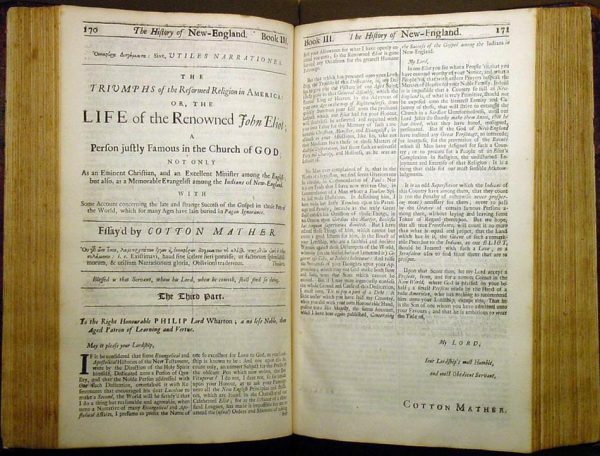 The thirteen colonies were prohibited from publishing the Bible in English, and the first English language Bible printed in America did not appear until the 'Aitken Bible' of 1782. Jonathan Fisher, Scripture Animals, or, Natural History of the Living Creatures Named in the Bible, Written Especially for Youth. Portland, Me. : William Hyde, 1834. Fisher, a Harvard-educated Congregationalist minister in Blue Hill, Maine, wrote, illustrated, and engraved the woodblocks for this biblical/zoological treatment, which was intended for children to further their biblical understanding more than their scientific knowledge. 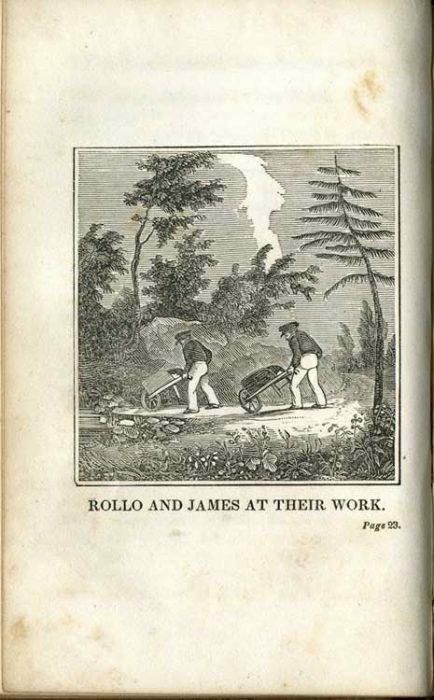 He copied most of his illustrations from previously printed images, especially those by English wood engraver Thomas Bewick, in preparing his own wood cuts for the book. Fisher spent nearly thirty years on the woodblocks for this naturalist project while also conducting his ministry, supporting anti-slavery and temperance causes, and pursuing a staggering number of other 'outside interests' and necessities, including farming, surveying, crafts, painting, writing, education, and linguistics. Benjamin Franklin, Experiments and Observations on Electricity, Made at Philadelphia in America ...To which are added, letters and papers on philosophical subjects. The whole corrected, methodized, improved, and now first collected into one volume, and illustrated with copper plates. London: For David Henry, and sold by Francis Newbery, 1769. The 4th edition, but also the most desirable, being the first complete edition of what many consider to be the most important scientific book of eighteenth-century America. Previous editions contained fewer reports and many errors, and Franklin edited this new one-volume edition himself, significantly revising the text and adding numerous of his own letters and notes. 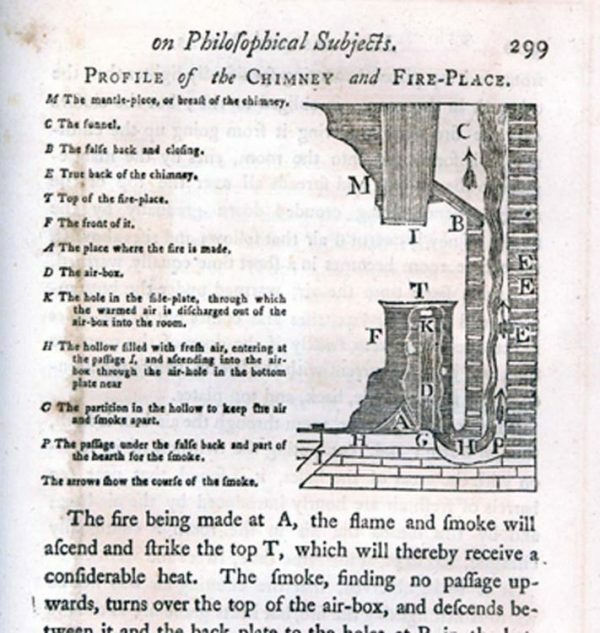 The volume includes accounts of his famous kite-key experiment, his design for an efficient fireplace, and a number of scientific findings by his contemporaries. Franklin and Massachusetts governor James Bowdoin, in whose memory Bowdoin College is named, were both founding members of the American Academy of Arts and Sciences, and they communicated regularly about scientific matters of mutual interest. This copy belonged to Gov. Bowdoin. Loan: American Academy of Arts and Sciences. Kate Furbish, The Flora of Maine. 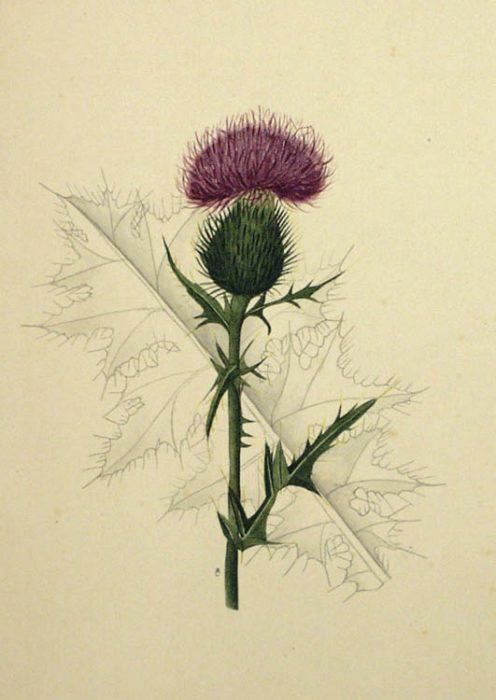 'Burdock'. Vol. 7. Unpublished scrapbooks (16 vols. ); Brunswick, Maine, 1870-1908. Furbish, a self-taught botanist who grew up in Brunswick, Maine, devoted her adult life to collecting, drawing and classifying the plants of Maine. In the course of her avocation, she amassed a vast collection of plants, ferns and fungi, which she preserved by pressing and drying, and documented each with illustrations in pencil and watercolor. Her exhaustive explorations and the meticulous detail of her drawings came to be highly regarded by preeminent members of the scientific community, including Asa Gray, Sereno Watson and Merritt L. Fernald of Harvard. Furbish presented her collection of drawings and paintings, including 1,326 images in sixteen scrapbook volumes, to Bowdoin College in 1908, and her dried specimens to the New England Botanical Club (now held by the Harvard University Herbaria). Rebecca Goodale, Extinct. Extirpated. Endangered. 3 pieces. Portland, Me. : R. Goodale, 2003. Artist's book; edition limited to ten copies; three flexagons, hand colored silkscreen prints with collage. 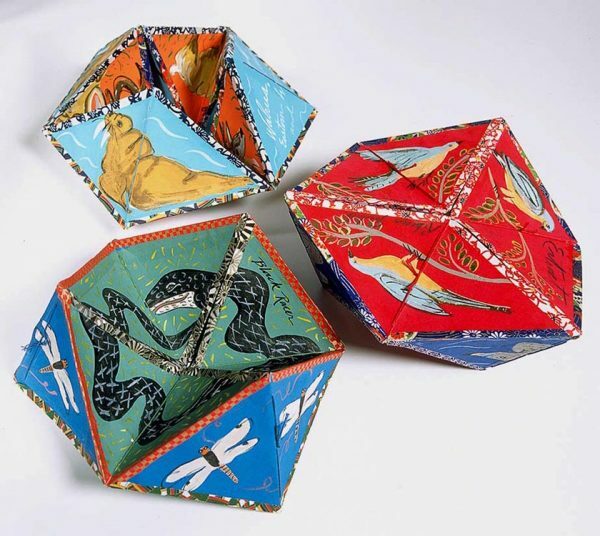 This work is part of a project (ongoing since 2000) in which the artist aims to create artists' books that represent all of the threatened and endangered flora and fauna on the State of Maine's 'Threatened and Endangered Species List,' which numbers over 200 species. When these rings are twisted a surface is concealed while another is revealed. When shaken, each ring produces a sound relative in intensity to the level of threat that the group of species faces. Extinct shows the Passenger Pigeon, Great Auk, Sea Mink, and Labrador Duck. Before their extinction these animals could be found in Maine. Extirpated shows the Walrus, Grey Wolf, Wolverine, and Caribou. These various species, while still surviving in other parts of the world, were once known to live in Maine. Endangered includes one plant, the Tall White Violet, three Terns (Roseate, Least, and Black), the Ringed Boghaunter, and the Black Racer. Nathaniel Hawthorne, Fanshawe: a tale. Boston: Marsh & Capen, 1828. This, Hawthorne's (Class of 1825) first novel and the earliest 'college novel' in America, was published anonymously and quickly disavowed by its author. He sought to suppress copies (his friend Horatio Bridge burned his copy), and his wife Sophia was unaware of its existence until after Hawthorne's death. Surviving copies, consequently, are extremely scarce. Arguments have been made for the setting being modeled after Williams and Dartmouth colleges, but the strongest case remains that the fictional 'Harley College' is based on Hawthorne's experiences at Bowdoin. 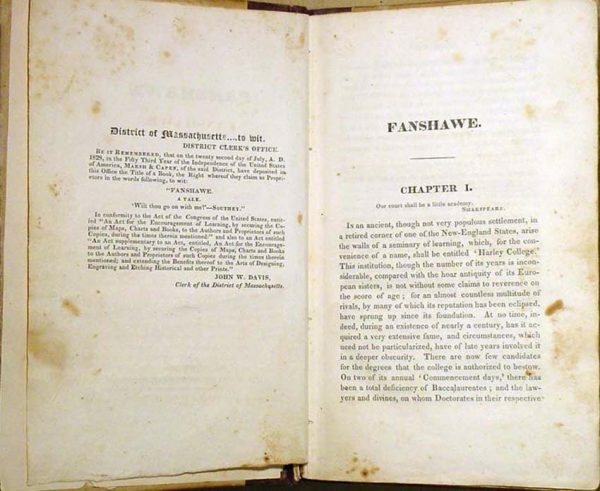 Bowdoin's copy of Fanshawe was donated to the College as the Library's 500,000th volume. Gift: Friends of the Library. 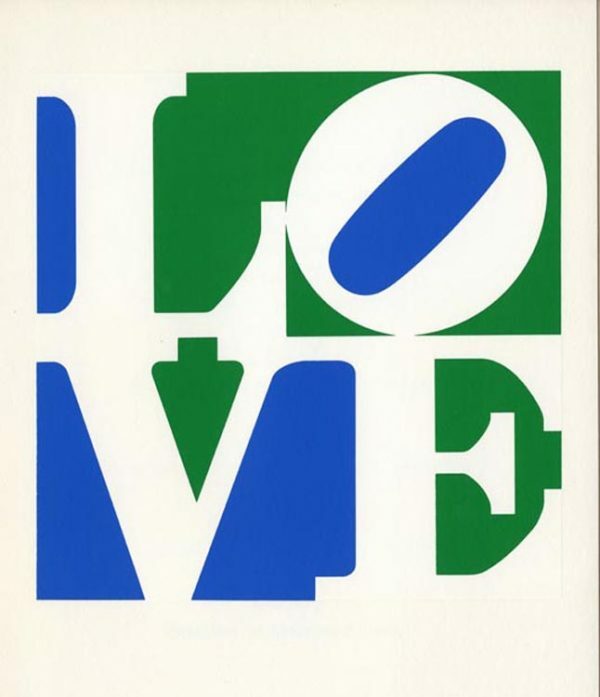 Robert Indiana, Trilove: 3 poems. New York: Bouwerie Editions, 1969. This highly recognized 'pop' serigraph represents one of the three concrete poems in this work. The others, fuller in text, are 'When the Word Is Love' and 'Wherefore the Punctuation of the Heart.' The book was designed by William Katz, printed by Edition Domberger (Bonlanden bei Stuttgart, Germany), and issued in 210 copies, of which 125 were for sale. The 'LOVE' print, which was especially ubiquitous in the late 1960s and 1970s and appeared in a variety of color schemes, was based on the painting 'LOVE' of 1966. Its appearance on a U.S. postage stamp made that design the most popular ever issued by the Postal Service. Samuel Johnson, A Dictionary of the English Language: in which the words are deduced from their originals ... to which are prefixed, a history of the language, and an English grammar. 2 vols. London: Printed by W. Strahan, for J. and P. Knapton [et al. ], 1755. While not the earliest English dictionary to appear in print, Johnson's was the first to quote passages to show how words were used. The linguistic rigor and exhaustive, systematic scheme that Johnson applied resulted in an enormously influential work-so influential, in fact, that it remained the standard English dictionary for 150 years until the Oxford English Dictionary superseded it. Johnson drew his examples from what he deemed to be the best writers (Dryden and Shakespeare, for example), and by privileging words and usage in his dictionary, he contributed enormously to standardizing the language and promoting public literacy. 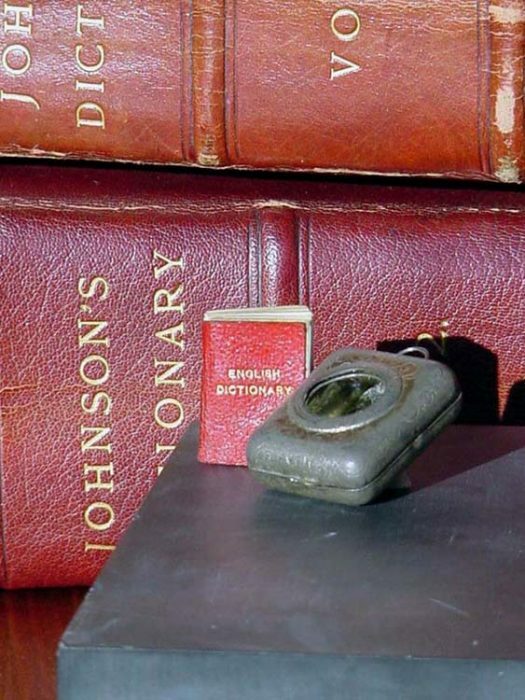 Also shown is The Smallest English Dictionary in the World ... (Glasgow: David Bryce & Son, [ca. 1890]), a novelty miniature book, issued in a locket that incorporates a magnifying glass into the case lid, which pays homage to Johnson by presenting his portrait as the frontispiece and stamping 'Johnson's Dictionary' on the spine. James Joyce, Ulysses. London: Published for the Egoist Press by John Rodker, Paris, 1922. 1st English edition; previously published in Paris in the same year. This edition is in fact the 2nd printing (October) of the Paris edition (Shakespeare & Co.; 1,000 copies), which had appeared in the preceding February and sold out almost immediately. 2,000 copies of this 'English edition' were printed in France using the original plates. 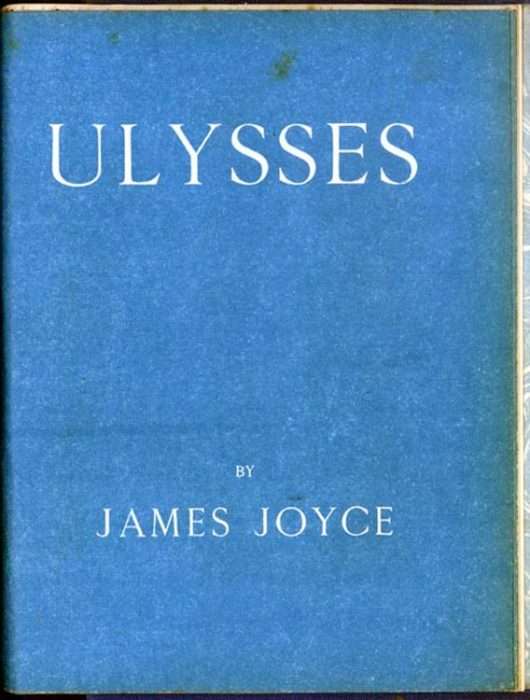 Serialized installments of Ulysses had first appeared in the Little Review (Chicago) beginning in 1918, but censorial proceedings terminated that serialization in 1920; copies of the magazine were confiscated and the editors were convicted of publishing obscenity. Publication of the complete book met equal resistance, both in the U.S. and in England. As many as a quarter of the total number of copies of the 'English edition' were seized and destroyed by U.S. Customs during attempts to mail the novel to American buyers. The novel remained banned in England and the United States until 1933. Rockwell Kent [illus. ], Concealing-Coloration in the Animal Kingdom. By Gerald H. Thayer; illustrated by Abbott H. Thayer [et al.]. New York: Macmillan Co., 1909. 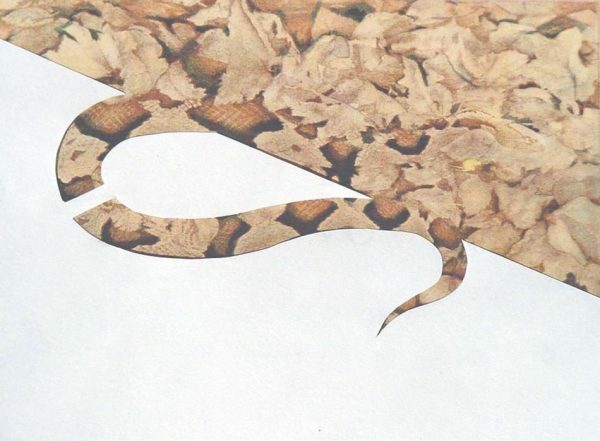 In this book, artist Abbott H. Thayer and his son Gerald asserted and illustrated their views about how animals use natural camouflage to conceal themselves from predators. Although Thayer's biological ideas were controversial, aspects of his color theories were subsequently applied to military camouflage during World War I. Rockwell Kent, then a student of Thayer's, contributed a depiction of a 'copperhead snake on dead leaves' for this work-it marked Kent's first book illustration. Nancy Leavitt, The Sacred Cut. Stillwater, Me. : N. R. Leavitt, 2006. The text is hand lettered in gouache and is accompanied by paste paper, as well as other handmade papers, and illustrations accomplished with painting, straightedge, pen, and brush. Focusing on the theme of geometry in architecture, the artist appropriates the book form, employing color, structure and image to visualize her text and the concepts that it conveys. 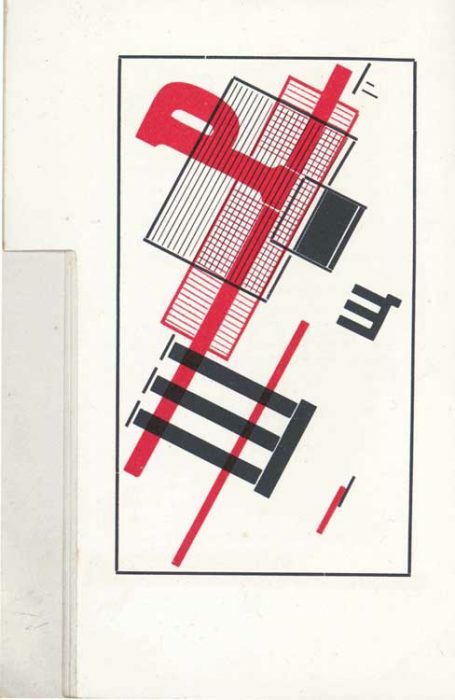 El Lissitzky, Dlia golosa [poems by V. Mayakovsky; book design and typo-graphy by El Lissitzky]. Berlin: R.S.F.S.R. gos. izd., 1923 (Tip. Lutze & Vogt). Lissitzky's view that art could bring about social change informed his work as architect, typographer and book designer throughout his career, and his graphic style found its voice in the Bauhaus, Constructivist and De Stijl movements. This book, which helped to establish Lissitzky's reputation as a graphic designer, demonstrates exlusively through typography the prominence that letters and geometric shapes held as visual symbols in his Constructivist art. Books were especially important artistic vehicles for him because they were so approachable and could be personally possessed and manipulated. Henry Wadsworth Longfellow, Elements of French Grammar. 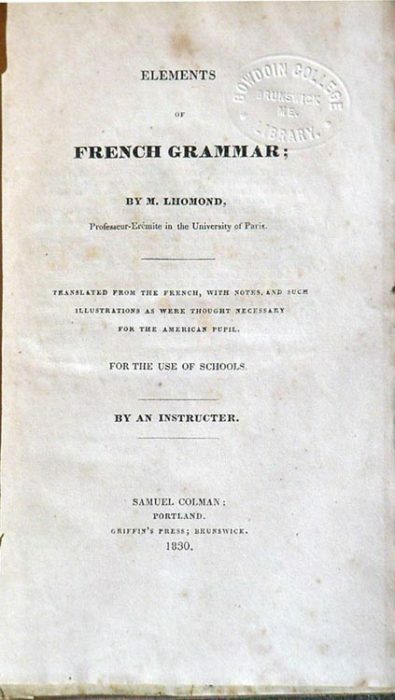 By M. Lhomond ... translated from the French ... by an Instructer [sic]. Portland, Me. : Samuel Colman, 1830 [printed in Brunswick, Me. : Griffin's Press]. Maine (Constitutional Convention), The Constitution of the State of Maine, and that of the United States. Portland, [Me. 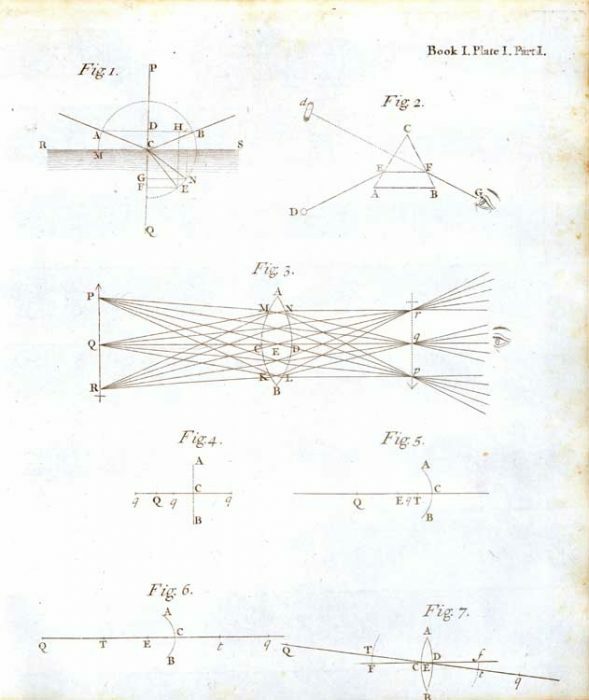 ]: Printed by Francis Douglas, 1820. Two earlier printings Maine's constitution were issued in October of 1819, intended as drafts for citizens to read in anticipation of voter approval at town meetings the following December. 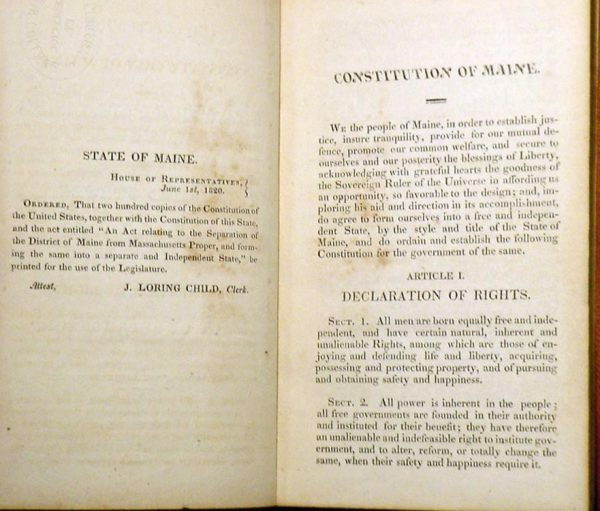 This is the first edition of the Constitution formally published by the State of Maine. It includes a printing of the Massachusetts act of separation consenting to the District of Maine's forming a separate, independent state government. Two hundred copies were printed 'for the use of the Legislature' by order of the House of Representatives. The copy displayed here belonged to Barrett Potter (College Overseer, 1821-1825), Maine senator from 1820-1821. Gift: Estate of Barrett Potter [Jr.]. 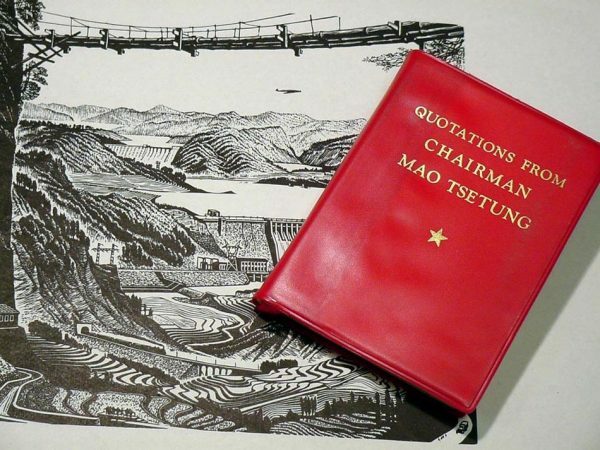 Zedong Mao, Quotations from Chairman Mao Tsetung. Peking: Foreign Language Press, 1972. First published in May, 1964; first vinyl-covered English edition 1966. After the Bible, the 'Little Red Book' is the most printed text in the world, and it became an instant icon of the Cultural Revolution. The work was first introduced as an inspirational pocketbook for soldiers, but it proved to be so popular that it was determined within the year that every Chinese citizen should have a copy. Within three years of its first issue, the work had been translated into more than thirty-six languages, and over a billion copies have been printed to date. Gift: Francis and Robin Tenny. Cotton Mather, Magnalia Christi Americana, or, The Ecclesiastical History of New-England, from Its First Planting in the Year 1620, unto the Year of Our Lord 1698. In seven books. London: Printed for Thomas Parkhurst, 1702. Described by American bibliographer Wright Howes as the 'most famous eighteenth-century American book,' this work is essentially a history of colonial Massachusetts. Mather devotes chapters to discovery, settlement, biography, and Indian wars, as well as church history, an account of doctrinal conflicts, and a history of Harvard College. Scholars have also identified Mather's own self-promotion and Puritan theological assertions in this, his most ambitious book. The library has copies previously owned by Gov. James Bowdoin and Thomas Wallcut. Isaac Newton, Opticks, or, A Treatise of the Reflexions, Refractions, Inflexions and Colours of Light ... . London: Printed for Sam. Smith, and Benj. Walford, 1704. This book, essentially a collection of papers describing experiments that Newton had conducted at Cambridge over several decades in the late seventeenth century, is the first work that delineates the color spectrum in light. Of greater importance, this edition also includes two treatises on linear equations and fluxions (absent from subsequent editions), which represent Newton's first printed papers on mathematics and staked his claim to mathematical discoveries that were being asserted by Leibnitz. Notably, Newton published this work in English (although the mathematical treatises are in Latin), a sign that Latin was no longer the absolute, universal language of scientific communication in Europe. Juan Nieremberg, Historia Naturae Maxime Peregrinae, libris XVI distincta ... . [A Natural History of Extremely Exotic Species]. Antwerp: Ex Officina Plantiniana, B. Moreti, 1635. Illustrated with sixty-nine wood-cuts by Christoffel Jegher. 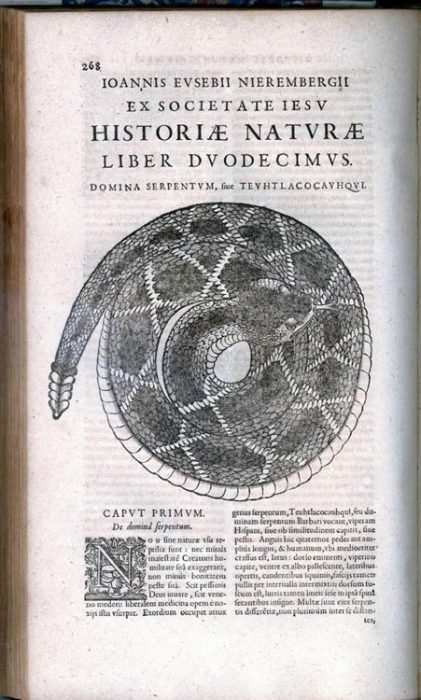 Nieremberg, a seventeenth-century Jesuit, became professor of natural history at the Imperial College of Madrid and wrote widely and vividly about natural history. This book , which describes the animals, plants, and minerals of the 'New World,' especially in Mexico, marks the first comprehensive, reliably illustrated natural history of America. Nieremberg based his work chiefly on manuscripts recorded by Francisco Hernandez during his 1570 expedition to New Spain. Our Peepshow: A Novel Panorama Book, with an introduction by F.E. Weatherly. London: Ernest Nister; New York: E.P. Dutton & Co., 1898. Patterned after the popular traveling peep-shows of the nineteenth century, this book of illustrated children's tales and verse (by L.L. Weedon, Edith Nesbit, and others) is accompanied by three 'peep show' dioramas illustrated by G. H. Thompson, W. Foster, and E. S. Hardy. 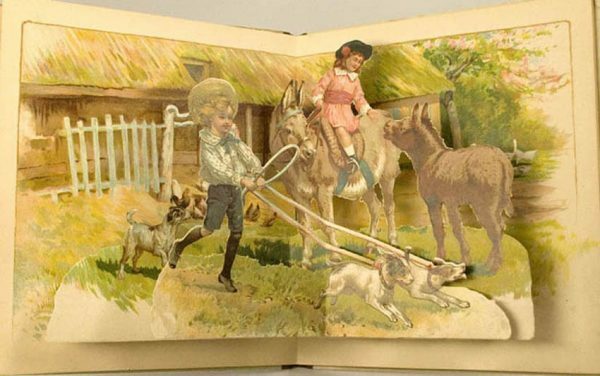 Although pop-up books developed into a clearly identifiable format only early in the 20th century, books with sophisticated movable parts and diorama structures were already popular in nineteenth-century Germany, America, and Victorian England. Ernest Nister, working in Nuremberg, produced, published, and perfected such works with great success, and his books served as important antecedents for the more dynamic experience that reading pop-up books provided in future years. Gift: Harold M. Goralnick (Class of 1971). [Pacific Railroad Surveys], United States, War Dept., Reports of Explorations and Surveys to Ascertain the Most Practicable and Economical Route for a Railroad from the Mississippi River to the Pacific Ocean ... 1854-5. Vol. VI. : 'Explorations ... from the Sacramento Valley to the Columbia River.' Washington, D.C.: B. Tucker, printer, 1857. Also called the 'Pacific Railroad Surveys,' this monumental report (12 vols. in 13) was first issued by the U.S. Senate and House as a government document, and a copy was presented to the College by Sen. William Pitt Fessenden (Class of 1823). The federal government sponsored several ambitious and extensive exploring expeditions during the 1850s, driven chiefly by the desire to understand more about the vast western expanse that had come under United States control. Strategic and economic factors concerning how to connect the distant West with the rest of the country prompted the Pacific Railroad Survey, but so did scientific inquiry. 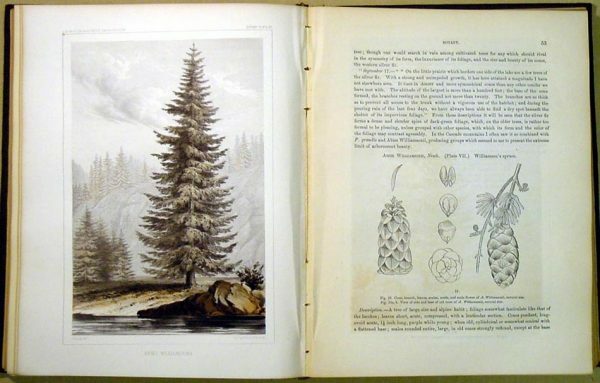 Findings concerning soil, climate, geology, botany, zoology, and ethnography were substantial and exhaustive, and the field reports in this work, through text and copious illustration (often in color), marked a significant accomplishment in American natural history. Matthew Perry, Narrative of the Expedition of an American Squadron to the China Seas and Japan ... . New York: D. Appleton, 1857. Perry's expedition, which contributed considerably to the 'opening' of Japan to the West, was formally documented as a United States government publication (1856) in three volumes, copiously illustrated with chromolithographs portraying various aspects of Japanese and Chinese life, as well as with scientific findings. Volume 1 of that report was reissued by Appleton in the following year, identical in text and illustrations (as was another edition reduced in size and with cheaper illustrations) to accommodate a wider public interest. Volumes 2 and 3, focusing more narrowly on scientific observations, were excluded from these 'popular' editions. The bath scene shown here is found in only a very few copies of the 1856 and 1857 editions -it was deemed too offensive to the public and was excised from most copies. Giovanni Battista Piranesi, Diverse Maniere d'Adornare i Cammini, ed Ogni Altra Parte degli Edifizi = Divers Manners of Ornamenting Chimneys, and All Other Parts of Houses = Differentes manières d'orner les chiminèes, et tou autre partie des edifices. 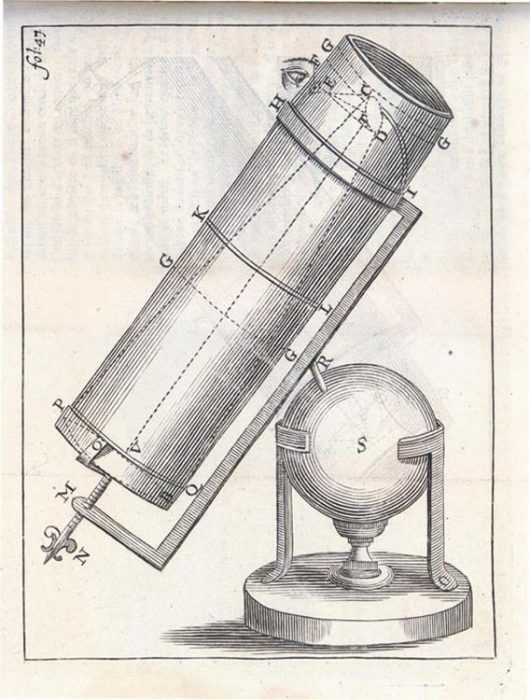 Rome: Generoso Salomoni, 1769. Trained as an architect and draftsman, Piranesi later studied etching and composition before establishing himself in Rome as an engraver and publisher. He was internationally esteemed for his etchings of the scenery and ruins of classical Rome. 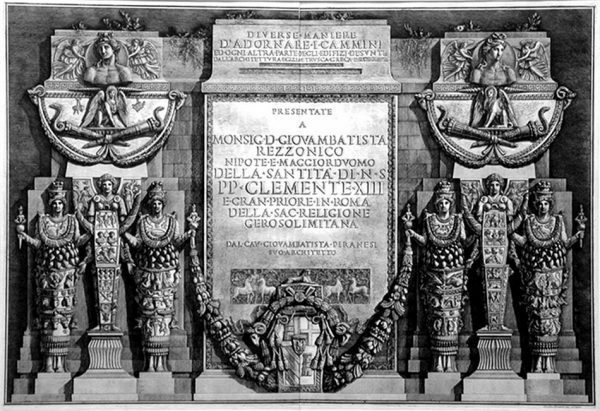 For the monumental work on decorative arts and architecture shown here, the polyglot title and preface (printed in Italian, English and French) suggest the international audience that Piranesi intended to reach, and Diverse Maniere d'Adornare i Cammini proved to be highly influential throughout Europe in establishing neo-classical styles of architecture and design based on an eclectic study of antiquity. 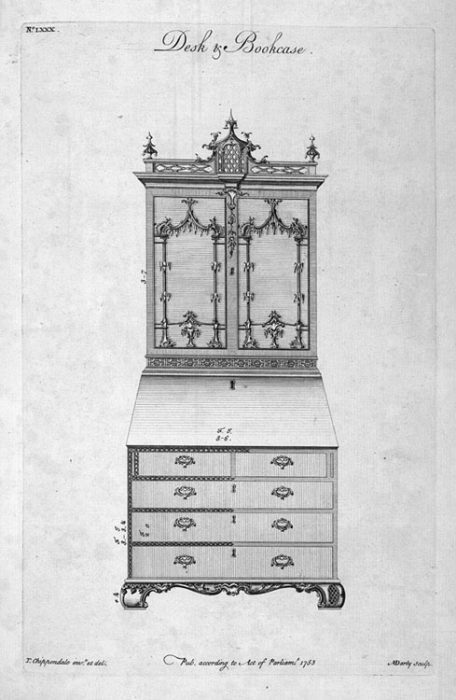 The book illustrates over 100 separate items of furniture and decorative objects, including candlesticks, clocks, vases and vessels, sedan chairs, as well as dozens of chimneypiece designs. Bern Porter, Aphasia. Madison, Me. : [s.n. ], 1961 [i.e., 1961-ca. 1966]. Unique 'found art' artist's book. Porter defined this work as 'A psycho-visual satire on printed communication' (p. ). It consists exclusively of equally sized and bound clippings from newspapers, advertising inserts, comic strips, and similar pulp printings that illustrate commercialism, popular culture, and the mundane. Formerly a physicist who worked on the Manhattan Project, Porter quit his job after the bombing of Hiroshima and, although he later participated on the Saturn V space project, he principally turned to publishing, to making avant garde art and to writing experimental poetry. He was an innovator especially with such art forms as found art, mail art, and performance art. Samuel Purchas, Hakluytus Posthumus, or, Purchas His Pilgrimes: contayning a history of the world, in sea voyages, & lande-travells by Englishmen and others, wherein God's wonders in nature & providence, the actes, arts, varieties & vanities of men, with a world of the worlds rarities are by a world of eyewitnesse-authors related to the world, some left written by Mr. Hakluyt at his death ... . 4 vols. London: Henry Fetherston, 1625. Purchas published the first volume of his Pilgrimes series, a compilation of accounts and 'relations' of geographical discovery and exploration, in 1613. Hakluytus Posthumus (1625), and the single-volume 4th edition that appeared in the following year, were a continuation of Hakluyt's seminal Principal Navigations, a similar earlier set of compilations, based partly on manuscripts left by Hakluyt upon his death. Although Purchas was sometimes careless in his scholarship, his collection of narratives is frequently the only surviving source for studying the history of specific explorations. This 1625 printing of Purchas is the only edition that includes a description of the Native American 'countrey of Mawooshen' (now central coastal Maine). Arthur Rimbaud, Les Illuminations. Lausanne: Grosclaude, Éditions de Gaules, 1949. Original lithographs by Fernand Léger (most are colored by hand or stencil); preface by Henry Miller; edition limited to 395 copies. After completing Illuminations, a collection of prose poems composed in England, the tempestuous Rimbaud stopped writing verse at the age of 21. Verlaine first pulished the manuscript a dozen years later, in 1886, reestablishing Rimbaud's reputation as a major poet. Numerous editions of Illuminations have followed, and various artists have contributed illustrations to complement the text. 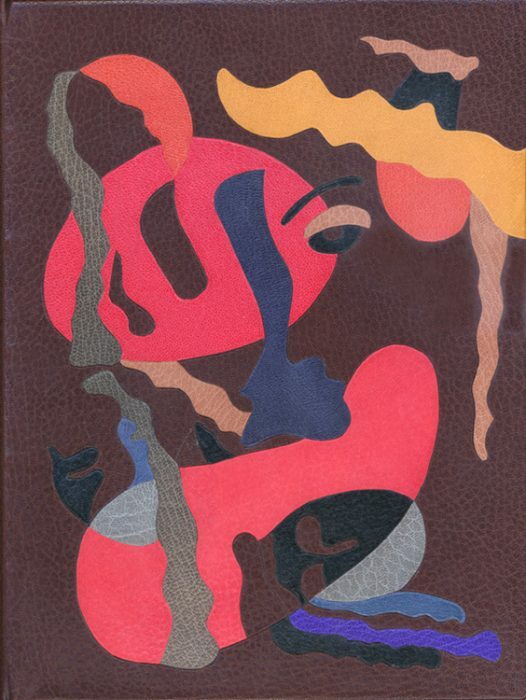 The copy shown here was hand bound (1985) by Kerstin Tini Miura in full brown morocco with colored leather onlays, red leather doublures, a half-leather chemise with marbled paper, and a matching marbled slipcase. Miura's cover design echoes Léger's lithograph illustrations that appear in the work. This copy represents the Library's millionth volume, acquired in the spring of 2006. Gift: Estate of Jane Webster Pearce. The Journal is generally recognized as the first published scientific journal, although early issues might be described more properly as an eclectic gazetteer of general notes and observations, both scientific and otherwise. Previously, scientific scholarly communication had been not through journals but by private correspondence. Begun by Denys de Sallo in Paris on January 5, 1665, the work was suppressed on March 30 after 13 issues appeared. Publication resumed the following January. From 1675-1709, a number was published weekly or bi-weekly, more or less, before becoming a monthly in 1710. In 1684, due both to the increasing popularity of the work and the difficulty in obtaining copies, the Dutch printer published a reprint edition of all previous issues, and he continued with reprints of the Paris issues as those copies arrived in Amsterdam, often with added non-Parisian content. Harriet Beecher Stowe, Uncle Tom's Cabin, or, Life among the Lowly. New York: Heritage Press, 1938. Lithographs by Miguel Covarrubias; issued simultaneously by the Limited Editions Club in a signed (by the artist) edition of 1,500 copies and as a special Christmas edition. 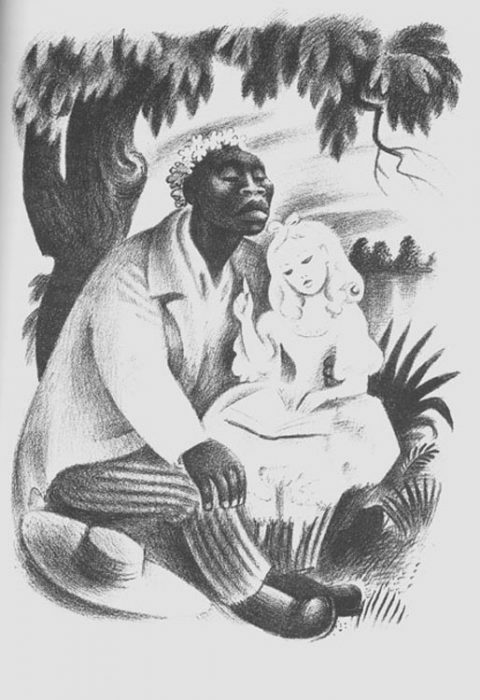 The first edition of Uncle Tom's Cabin appeared in the spring of 1852. Prior to the book's release, the work was published in serialized installments in The National Era between June 5, 1851, and April 11, 1852. Stowe's influential anti-slavery novel was written here in Brunswick, much of it penned in the Bowdoin College campus office of her husband, Calvin Ellis Stowe, then Collins Professor of Natural and Revealed Religion. The book was an instant phenomenon-twelve different editions of the work appeared in the first year alone, and it was adapted for dramatization almost immediately. Translations appeared in over thirty-seven languages by 1879, and the title has never gone out of print. Although the first edition was illustrated only modestly, subsequent versions have included illustrations in widely differing styles by Billings, Cruickshank, Kemble, Eckman, et al. For this edition, publisher George Macy selected Miguel Covarrubias, who was a caricaturist for Mexican newspapers before working for Vanity Fair; his modernist style contrasts pleasingly with Stowe's classic text. 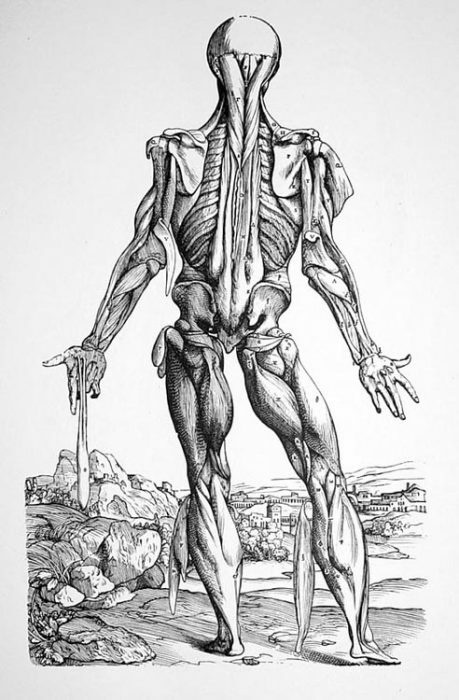 Andreas Vesalius, Icones Anatomicae. Munich and New York: Printed by the Bremer Presse for the New York Academy of Medicine and the University of Munich Library, 1934. Reprint edition of De Humani Corpis Fabrica, limited to 615 copies; drawings attributed to Vesalius, Jan Stephan van Calcar and others. Vesalius' anatomical studies established a systematic, scientific approach to dissection, and provided a pictorial level of detail and accuracy, such that his anatomical atlas enjoys the stature of being among the more influential medical texts ever produced. The work was immediately popular, and the famous woodcut illustrations published there influenced anatomical depiction for centuries to follow. This edition uses the original sixteenth-century wood blocks that were employed to print the 1543 and 1552-1555 editions of De Humani Corpis Fabrica. Discovery of their existence in the collections of the University of Munich library prompted this 1934 printing; the blocks subsequently were destroyed by the bombing of Munich during World War II. The text duplicates the original but was set specifically for this reprint edition. 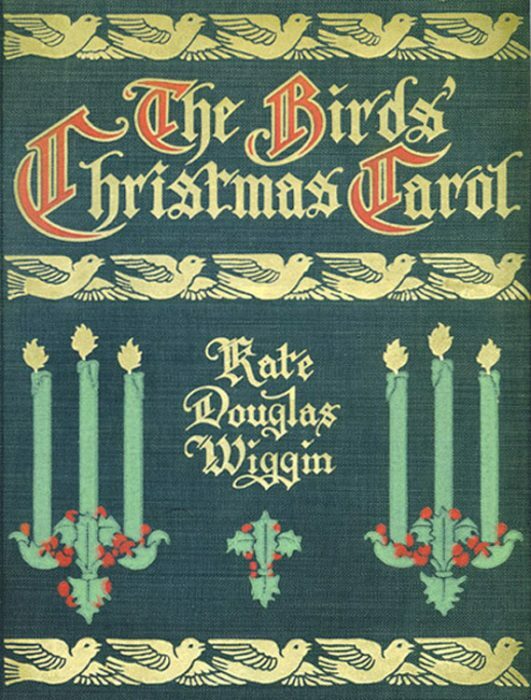 Kate Douglas Wiggin, The Birds' Christmas Carol. Boston & New York: Houghton, Mifflin and Co., 1912. Wiggin received an honorary degree from Bowdoin College in 1904. William Butler Yeats, In the Seven Woods: being poems chiefly of the Irish heroic age. Dundrum: Dun Emer Press, 1903. 1st book of the Dun Emer Press. 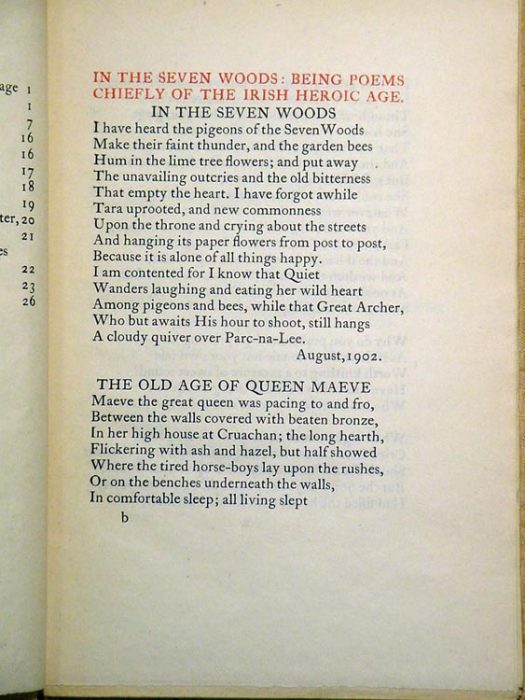 The Dun Emer Press and its successor, the Cuala Press, were in the hands of Yeats's sister Elizabeth, who in the beginning benefited from the advice of Emery Walker as she learned her craft. The literary works that these two presses issued (by Yeats, Masefield, Synge, MacNiece, Pound, et al. ), their book designs and printing styles, and their focus on women artisans, are important both for their role in the Irish Renaissance and as exemplars of the Arts-and-Crafts movement of the early twentieth century. Marguerite Yourcenar, Mémoires d'Hadrien. Paris: Plon, 1951. 1st edition; one of 115 copies printed on papier d'alfa; with holograph corrections. Yourcenar, the first woman elected to the Academie Française (1980), was a prolific writer of novels, essays and poetry, who also translated works by Henry James, Virginia Woolf and others into her native French. She was influential in establishing the psycho-historical novel as a popular literary form. In this, her most famous book (translated into eighteen languages), she focused on the human condition above the historical events that characterized the period, thus establishing a formula for the novel that has shaped historical fiction from the mid-twentieth century onward. 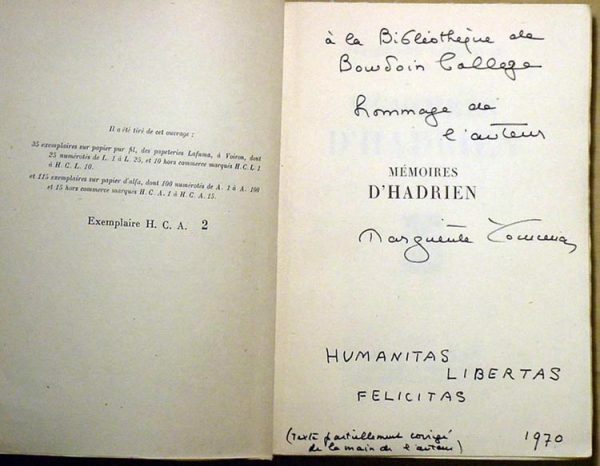 Yourcenar received an honorary degree from Bowdoin College in 1968. 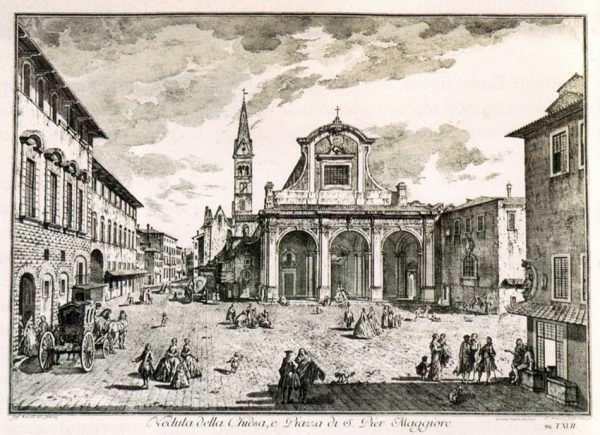 Giuseppe Zocchi, Scelta di XXIV Vedute delle Principali Contrade, Piazze, Chiese, e Palazzi della Citta di Firenze. Florence: G. Allegrini, 1744. Giuseppe Zocchi was an eigthteenth-century Italian painter and etcher, known for his history, genre, and landscape subjects. In a period when view-painting both echoed and broadened the popularity of the Grand Tour, with Guardi and Canaletto celebrating Venice and Piranesi capturing the splendors of Rome, Zocchi applied his artistry to picturing the beauty of Florence and Tuscany. He was commissioned by the Gerini family to record all of Florence's greatest scenes and landmarks, and those of Tuscany, and these drawings were translated as copper etchings by Zocchi and others and published in two works, the views of Florence shown here and another compilation featuring Tuscan villages.